It's possible that you want to create kits for the explicit purpose of inventory shadowing. Here's an explanation of what that means and how to accomplish it? For example, we want to sell the same listing WEEKENDER-BAG under three competing SKUs. 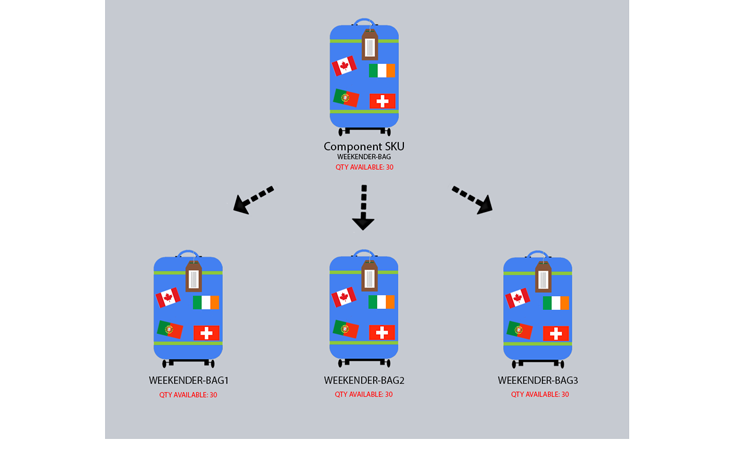 We could create three listings - WEEKENDER-BAG-1, WEEKENDER-BAG-2, and WEEKENDER-BAG-3. Each of these is made of an identical Kit Recipe that has a single item.. 1x WEEKENDER-BAG. We do the same thing for both WEEKENDER-BAG-2 and WEEKENDER-BAG-3. 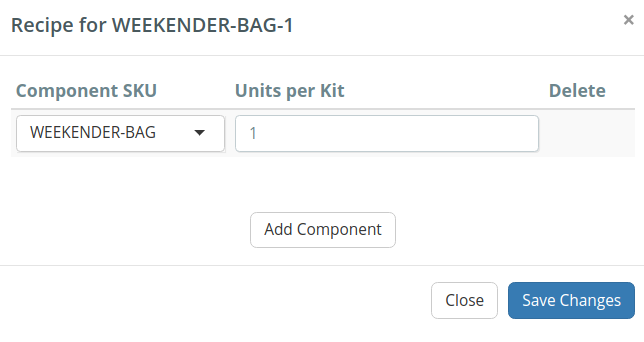 Now, inventory for all 3 SKUs is kept under the WEEKENDER-BAG component SKU. A sale for one is a sale for all 3, and all 3 inventories will be adjusted. If you have further questions on how to create shadows, please contact support.